New Delhi, Feb 3 : Petrol and diesel prices have been slashed across the country by Rs 2.42 per litre and Rs 2.25 a litre respectively. The revised prices will come into effect from February 3 midnight. Petrol in New Delhi will now cost Rs 56.49 a litre, while diesel will cost Rs 46.01 per litre. The state-run Indian Oil Corporation (IOC) has stated that the latest reduction in fuel prices was done due to the lowering of crude prices globally and the appreciation in rupee-dollar exchange rate. New Delhi, May 29 : Indian Oil Corp (IOC) Thursday posted a fall of 35.30 percent in net profit for the fourth quarter ended March at Rs. 9,389.85 crore, as compared to Rs. 14,512.81 crore for the same quarter in the previous year. However, the state-run oil marketer's total income from operations rose by 5.75 percent at Rs. 134,867.42 crore for the quarter in question, as compared to Rs. 127,534.77 crore for the quarter ended March 2013. New Delhi, April 15 : State-run Indian Oil Corp (IOC) Tuesday announced a cut in petrol prices by 70 paise a litre, effective from midnight. The reduction is exclusive of local taxes, and the fuel's retail price in Delhi will come down by 85 paise a litre, IOC said. "The continued appreciation of the rupee (to the US dollar) has resulted in reduction in petrol prices warranting the proposed decrease," a statement here said. Petrol price was last reduced on the first of this month by 75 paise a litre, excluding state levies, and the fuel currently sells in Delhi at Rs. 72.26 per litre. India's state-owned refiner, Indian Oil Corp has said that it is planning to acquiare a 10 per cent stake in Petrona's project in India. Petronas, which is a major energy firm in Malaysia, has said that it is planning to build a liquefied natural gas (LNG) terminal on Canada's Pacific coast. The Malaysian firm has secured a third equity and offtake partner for the project in Canada. New Delhi, Feb 28 : Petrol price was raised Friday by 60 paise a litre, minus taxes, while the diesel rate was hiked by 50 paise per litre. The revised prices will take effect from midnight, it was announced. Diesel prices were last increased by 50 paise per litre on Jan 31, while petrol price was kept unchanged. Allowing for local taxes, the price of petrol per litre will be Rs. 73.16 in Delhi, Rs. 80.96 in Kolkata, Rs. 82.07 in Mumbai and Rs. 76.48 in Chennai, while that of diesel per litre for the four metros, respectively, will be Rs. 55.48, Rs. 60.09, Rs. 63.86 and Rs. 59.17. Indian Oil Corporation (IOC) has reportedly scrapped Haldia Petrochemicals Ltd. takeover deal, giving a tough blow to West Bengal's Mamata Banerjee-led government's plans to divest its holding in the ailing company. An IOC official has revealed that IOC has decided not to take over Haldia Petro and that the public sector oil giant has asked the state government to refund its earnest money (Rs 200 crore) that it had deposited to participate in the bid. New Delhi, Jan 3 : Petrol and diesel prices will go up by 75 paise and 50 paise a litre, excluding taxes, from midnight Friday, state-run oil marketing company Indian Oil Corporation said. "Indian Oil Corporation has decided to effect increase in the retail selling price of petrol by Rs. 0.75 per litre excluding state levies (and) increase in retail selling price of diesel by Rs. 0.50 per litre excluding state levies," India's largest oil marketing company (OMC) said in a statement. New Delhi, Aug 27 : State-run oil marketing companies (OMCs) have reported a combined loss of Rs. 4,403 crore in the first (April-June) quarter of the current fiscal, Minister of State for Petroleum Panabaaka Lakshmi said Tuesday. "They (Indian Oil Corp, Bharat Petroleum and Hindustan Petroleum Corp) could report meagre profits in previous years only after taking into account the cash assistance provided by the Government and the discount on sale of crude oil and product offered by upstream oil companies," Lakshmi told parliament in a written reply. Shares of government-run oil marketing companies (OMCs) enjoyed considerable gains in early trade on Monday, after the companies announced the fourth increase in petrol prices in six weeks. Indian Oil Corporation, HPCL and BPCL on Sunday announced their decision to hike petrol prices by Rs 1.55 per litre, saying the falling value of rupee made imports of oil costlier. The actual increase in petrol prices varies from city to city, depending on local taxes. The new rates took effect from Sunday midnight. The joint venture between Indian Oil Corporation and Malaysia's Petronas on Tuesday inaugurated its second LPG terminal at Ennore near Chennai in a bid to enhance the availability of cooking gas and meet the soaring demand in the region. Established at a cost of Rs 546 crore, the facility currently boasts a capacity of 600,000 tones per annum. The capacity can later be expanded to 1.2 million tones per annum. The new facility will cater will cater to LPG needs of Tamil Nadu, Andhra Pradesh and Karnataka. Indian government officials have said that the government is considering plans to increase the prices of diesel and kerosene, which are controlled by the authorities, in a phased manner in order to lower the burden of fuel subsidy on the state. There are indications that the government might be looking to increase the price of diesel by 10 rupees a liter over a period of10 months, or by 1.0 rupee every month. The unnamed official also said that the government might increase the price of kerosene by 10 rupees a liter in two years. New Delhi, Dec 25 - A record hike in retail prices of transport fuels and the decision to slash subsidies on cooking gas were the high points of India's oil economy in 2012, as the sector awaited pricing reforms and a new thrust in the production of hydrocarbons to attain energy security. While the price hikes bothered consumers of petrol, diesel and cooking gas, the industry awaited government policy reforms aimed at giving a boost to exploration activity and to the search for new fuel sources. 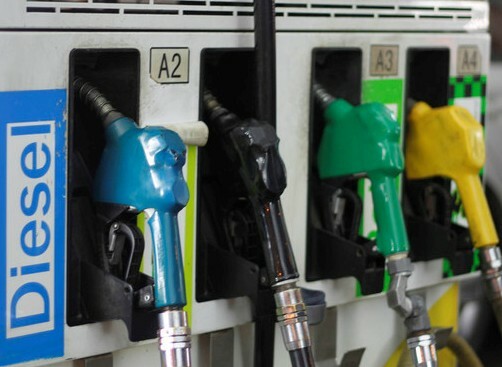 All of the three fuel retailers in the country, IndianOil, Hindustan Petroleum and Bharat Petroleum have returned their accounts to the black in the second quarter but analysts say that the profits are not enough to make up for losses of the first quarter. The Indian Oil Corporation has reported a whopping 224 percent rise in net profits during the fourth quarter till March 2012 compared to Rs 3,905.16 crore in the same period of the previous year. Market analysts were expecting the company to record a net profit of Rs 9,400 crore during the quarter, or record an increase of about 140.70 percent. The total income of the company increased to Rs 1,30,305.35 crore during the fourth quarter from Rs 99,130.03 crore for the same quarter previous year. According to some reports, the oil companies in India have reduced the price of aviation turbine fuel (ATF) by as much as Rs. 1,974 per kilolitre or 3.02 per cent to the level of Rs 62,908 per kl, bringing some relief to the cash-strapped aviation firms in the country.